The red card and one-game suspension for Chad Marshall has been overturned by an independent panel, meaning the defender is eligible to play in the Sept. 15 game against Vancouver. 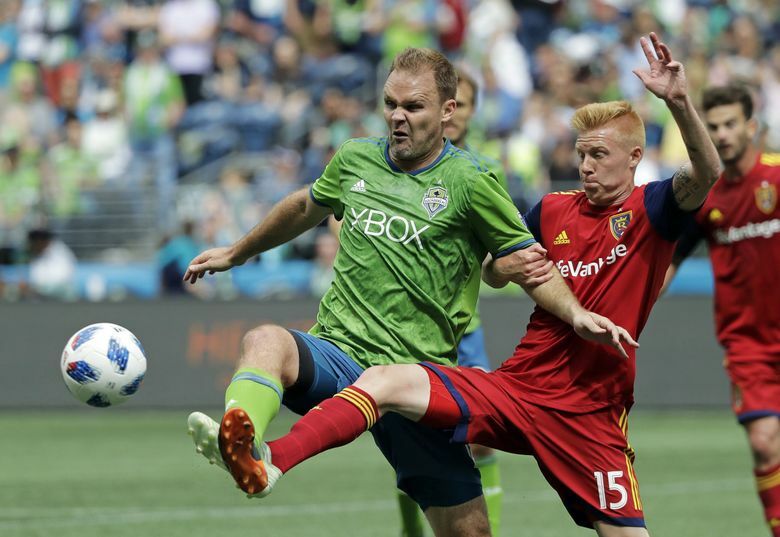 Sounders defender Chad Marshall’s red card for a dangerous foul late in Saturday’s win over Sporting Kansas City has been overturned after the Sounders appealed the decision. The red card had carried an automatic suspension for Marshall for the Sounders’ next game, Sept. 15 at Vancouver. The defender now is eligible to play in the game. The red card was overturned after it was reviewed by an independent panel consisting of one representative each from the United States Soccer Federation and the Canadian Soccer Association and one representative nominated by the Professional Referee Organization. The red card carried a fine, as well, which has also been rescinded. The Sounders (12-9-5, 41 points) do not have a game until Sept. 15 because of a scheduled FIFA international break. Each MLS team is allowed two unsuccessful appeals of in-game dismissals per season, and given that this appeal was successful, the Sounders still have two appeals remaining. In the 77th minute, Marshall, a strong Defender of the Year candidate, upended Sporting Kansas City forward Johnny Russell on a play ultimately sent to video review. The red card came after that review.